The AA has commissioned and installed a training facility for hybrid vehicles to increase the number of vans and cars fixed by technicians at the roadside. The unit is the first of its kind to be available commercially and is now located alongside the AA’s new customer experience centre in Oldbury, West Midlands. 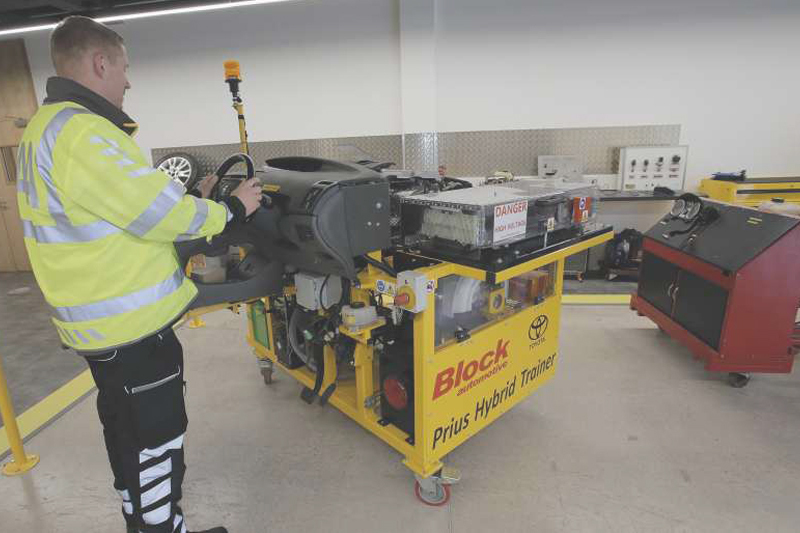 Designed and built by automotive training equipment supplier AG Block Automotive, the rig simulates switchable ‘real world’ hybrid vehicle faults to replicate numerous potential breakdown situations for technicians. Modelled on a third-generation Toyota Prius, the unit also includes switchable faults on fuel, cooling, exhaust, ignition and CVT transmission, as well as other diagnostic functions. The training facility is based alongside the AA’s customer experience centre in Oldbury, West Midlands, which is open to new, existing and potential fleet customers. Geoff Block at AG Block Automotive added: “Many people talk about hybrid and electric vehicle technology in the future tense, when it’s really happening now. For more information from the AA, click here.